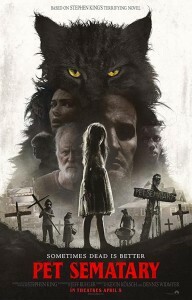 Pet Sematary (R) is in theaters now. This re-make of the Stephen King tale follows the Creed family, who have relocated to Maine. They discover their 50 acres of forest includes a place where kids bury their pets (hence the name of the movie), but there’s more. Creepy neighbor, Jud (played by John Lithgow), shows dad, Louis (played by Jason Clarke) the sacred land with powers to bring back the dead. When tragedy strikes, Louis does what any grief-stricken dad might consider (though not actually DO, knowing how things typically turn out in Stephen King stories). The story is gory and predictable (even if you didn’t see the original or read the book) and not very suspenseful. The biggest mystery here is why the family moved to this location without checking it out first. Breakthrough (PG) opens April 17th. This faith-based film comes from the Fox 2000 division, which was just given the axe by Disney. 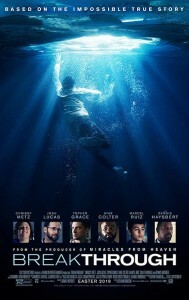 It follows the true story of the Smith family, facing a test of faith when teen son, John, falls through the ice, technically dies and then is brought back to life by his mother’s prayers. The parents each have their struggles, facing the possibility of losing their only child. Mom, Joyce (played by Chrissy Metz) demonstrates her resolve over and over, sometimes to the detriment of her own health, as she learns what having faith really means. It’s a moving story (especially for parents) that’s told in a non-preachy way. Little (PG13) opens today. This comedy is the opposite of the Tom Hanks classic, Big. Obnoxious, successful career-woman, Jordan, wakes up one morning, back as her awkward middle-school-age self. 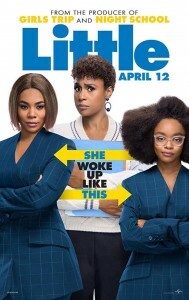 Her overworked assistant must pretend to be a relative, as Little Jordan learns the necessary lessons from her peers and mentors, that will enable her to return to her successful life (hopefully changed for the better). Most of the funny bits were in the trailer, but there’s a good message here about accepting yourself. The humor was not too adult, which was a bonus. The Perfect Date (TV14) is now streaming exclusively on Netflix. The Internet’s Favorite Boyfriend, Noah Centineo, is back for his third Netflix rom com. This time he plays Brooks Rattigan, a high school senior who hires himself out as a customized date for formals, art openings and other events, in order to save up for Yale. Brooks befriends the quirky Celia (Laura Marano), who is his first paid date and the inspiration for his service offering. He also pines after the popular Shelby. The whole process is a learning experience for Brooks, as he tries on different personalities and figures out what he really wants in life. Though somewhat predictable and reminiscent of quite a few 80s rom coms, we thoroughly enjoyed the ride. 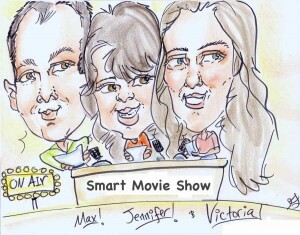 Plus box office results, movie news, what’s new on DVD & Blu-Ray and new movie trailers.